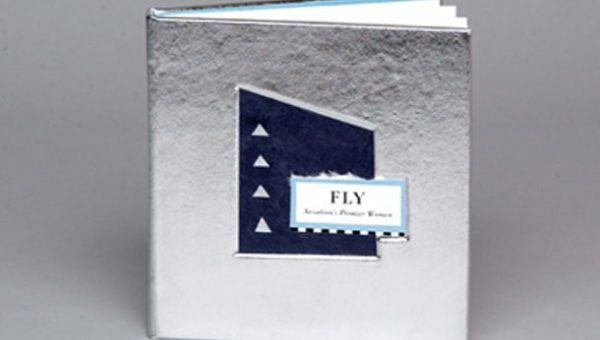 Accordion structure artist book that celebrates the women of aviation’s history. Quotations from these pioneer women are paired with handmade paper collages depicting a runway, a compass, a flight formation and a flag. the uncertainty and the exhilaration of first-born adventure. Laser printed on Mohawk Superfine paper. Five handmade paper collages on interior and cover. Silver metallic leather cover. 5.5” x 5.5” x 42” Edition of 20. Presented in a matching slipcase. ©2003 Signed and numbered.